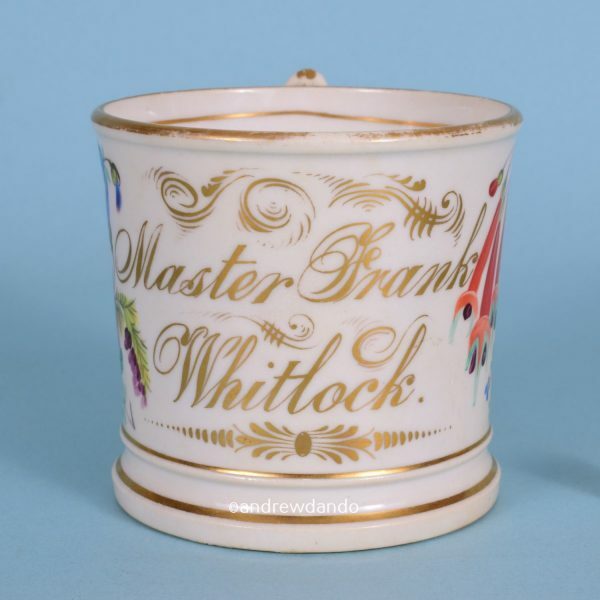 Porcelain Mug for ‘Master Frank Whitlock’. 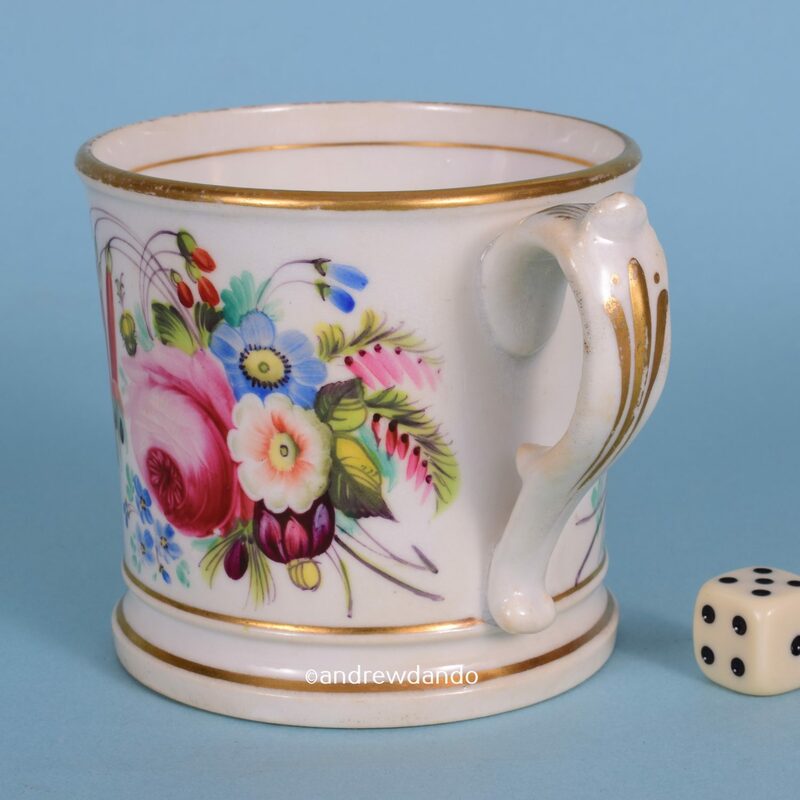 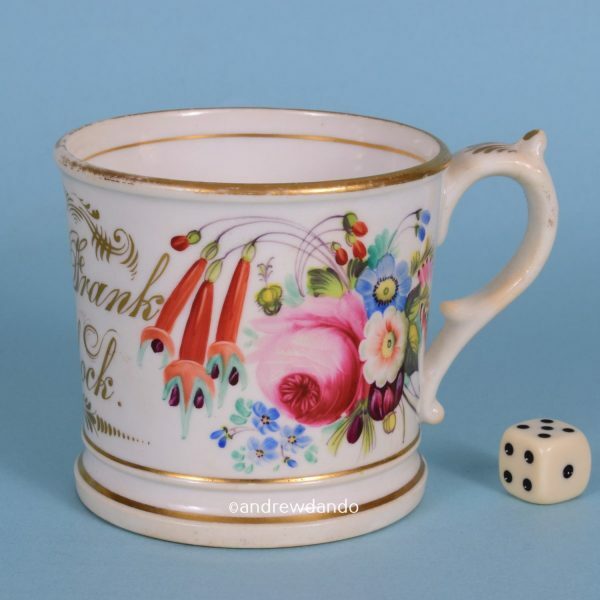 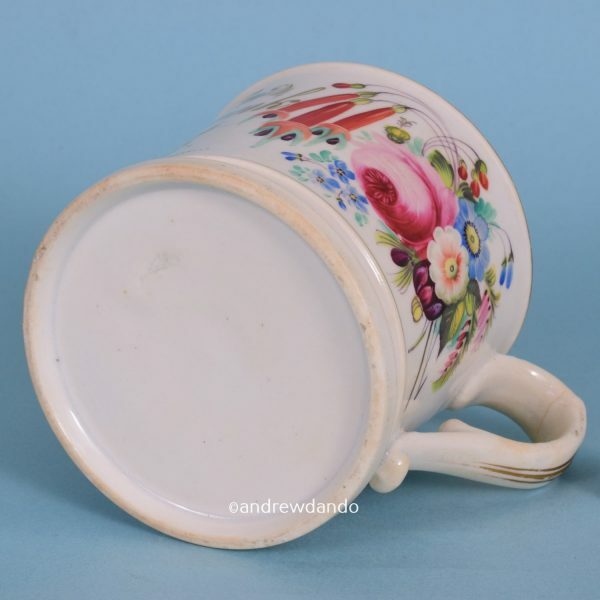 19th century English porcelain small Christening mug decorated with hand painted flower sprays and elaborate gilt inscription ‘Master Frank Whitlock’. 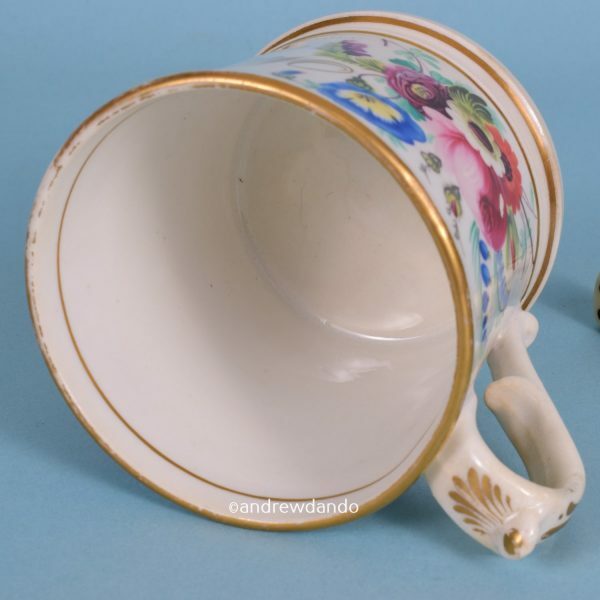 Condition: Some wear to gilding from use, very faint glaze crack inside handle. No damage or restoration. 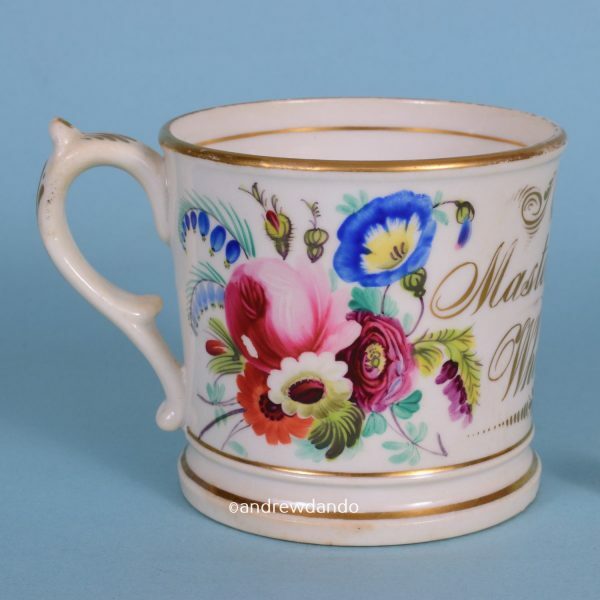 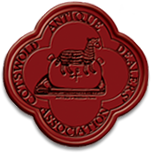 , Bargain Basement, Tablewares and Decorative items.